We shop agriculture insurance for you. We’re outstanding in your field. McFarlan Rowlands is Southwestern Ontario’s #1 provider of farm insurance for dairy, poultry, and hog farms as well as cash crops and agri-business. We balance the resources of 8 leading farm insurance providers with the personal touch you expect from our 16 area offices. With over 100 years in the industry, McFarlan Rowlands can provide coverages that are unavailable to the average insurance brokerage. Whether we are insuring your grain elevator operation, feed mills, or fertilizers, McFarlan Rowlands has you covered. Ensure you have optimal protection by reviewing our Agri-Business Risk Assessment Review Sheet. 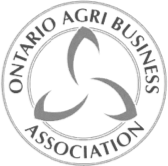 You can reduce the risk of a fire on your farm by reading the publication provided by the Ontario Ministry of Agriculture, Food and Rural Affairs. McFarlan Rowlands Insurance Brokers continues to be a leader in providing innovative insurance products to the agricultural industry. Our Eco-Guard program offers comprehensive coverage that is tailored to the unique needs of organic farmers and is backed by our exceptional insurance knowledge and advice based on 100+ years in the business. McFarlan Rowlands has developed our Eco-Guard program to suit the specific needs of your organic farm. Terms and coverages described are intended for general reference. For specific terms and coverages, please refer to your policy. Are your labour practices up to the legal standards? Would you know what to do or who to turn to if your agri-business faced a wrongful dismissal suit? Or if a client or supplier refused to honour a contract? The cost, complexity, and stress of the legal system often deter agri-business owners from pursuing their rights. That is why McFarlan Rowlands partnered with DAS to protect you with a PrimeGuard Agri-Legal Expense Insurance policy so that you can focus on what matters most: Managing and growing your agri-business. It’s like having a lawyer on retainer! How are you covered? With PrimeGuard Agri-Legal Expense Insurance you can protect your business, your family, and your vehicles. What does PrimeGuard Agri-Legal Expense Insurance Cover? If you face legal issues relating to employment. Kate’s employee is tragically killed during a mechanical accident on the farm and the ministry of labour is now conducting an investigation of the owner and the field supervisor. DAS immediately appoints a lawyer to defend Kate and the employee during the investigation and, if necessary, against potential criminal negligence causing death. This is an extremely complicated matter during an emotional time for everyone. With the help of the DAS assigned lawyer, no charges are pressed. As a PrimeGuard Agri-Legal Expense Insurance policyholder, Kate saved in excess of $100,000 in legal fees. A neighbour installed a fence that crossed over onto Ryan’s farm. Ryan tried to reason with the neighbour, but the neighbour refused to remove the fence from his property. DAS immediately appointed a lawyer who contacted the neighbour and was able to negotiate a reasonable settlement. In the end, the fence was moved off of Ryan’s property. It would have cost him $7,300 in legal fees if he were not a DAS policyholder. Sheila was involved in a dispute over the quality of work done by a contractor engaged to pour a concrete foundation for new utility buildings on the farm. Sheila was seeking $2,000 in damages as a result of delays and cost overruns to fix the foundation; which the contractor refused to pay. After calling the legal advice helpline, DAS appointed a lawyer who represented Sheila’s business all the way through to the hearing in the small claims court. The judge awarded Sheila the $2,000. If Sheila did not have a DAS policy, she would have paid out-of-pocket about $9,000 in legal and disbursement fees. McFarlan Rowlands has 16 Locations Across Ontario. Click here to find the office closest to you.